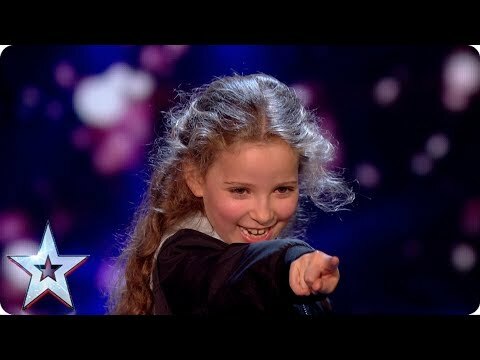 Issy Simpson, 8, dubbed the real-life Hermione Granger from Harry Potter wishes to perform in this year’s Royal Variety Performance in front of the Queen. Her first appearance blew away the judge’s minds as she asked Simon Cowell to pick out a card from a deck of cards and then she revealed a picture of Simon Cowell holding the chosen card on her t-shirt. The judges were curious to see what 8-year-old Issy would come up with this time. Issy managed to stun the judges once again by reading their minds.